A student has spent a night in a toilet, after she fell asleep on a crapper in a Birmingham nightclub. Business student Shauna Kerr, 31, took a disco nap in a cubicle at the Geisha Club in Birmingham's Cube last Friday, after having a few too many drinks. Whilst enjoying her good old-fashioned toilet sleep, the staff left for the night, locking her inside. When her friends and family couldn't get hold of her, they all called the police and reported her missing. However Shauna was fine, just a little drunk and extremely asleep. “They were ringing my phone, but there was no signal in the toilets" Shauna explained. "I didn’t get any of their messages until the next day." Embarrassingly, she hadn't even drank that much, and had possibly drank more than she should have to keep up with her fellow students. The Geisha club in Birmingham. Nice bar, comfy toilets. When she woke up at 10am on Saturday morning, Shauna had to escape the club through the fire escape. Unfortunately for Shauna, the fire escape led to a neighbouring restaurant, and she had to explain to the confused restaurant staff what had happened. “We only found out about it when the woman rang us a couple of days later and told us what happened to her,” he said. “We understand she had to get out via the fire escape." The club said they hadn't hired enough female door staff, so the toilets weren't checked as thoroughly as they should have been before the club was locked up. “In the light of this, we now have female doorstaff on every night, too, and we do a thorough sweep of the toilets before locking up" they said. So fear not, you can nap as much as you like in the Geisha Club from now on, safe in the knowledge you'll be kicked out before lock up time. "I was asleep in the toilet." 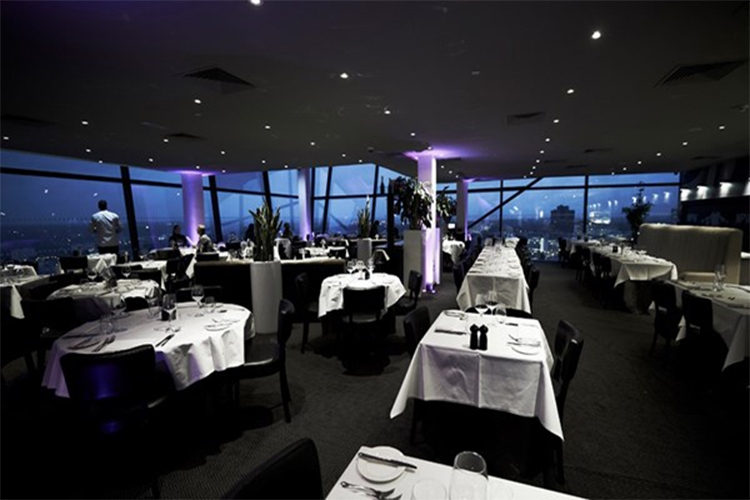 The Marco Pierre White restaurant in Birmingham, the restaurant where Shauna emerged after her ordeal. Shauna explained to the Birmingham Mail that she was lucky, but the club's lack of attention to toilets could have caused serious injury. “I was lucky, I only fell asleep and woke up okay, but what if I’d fallen in the cubicle and injured myself?" "The only reason I'm talking about it is that I want to raise these issues and make sure it doesn't happen to anyone else."